Well you are in for a treat this week. Today I have a great giveaway happening on the blog and on my Instagram feed to win all the prizes you see below. 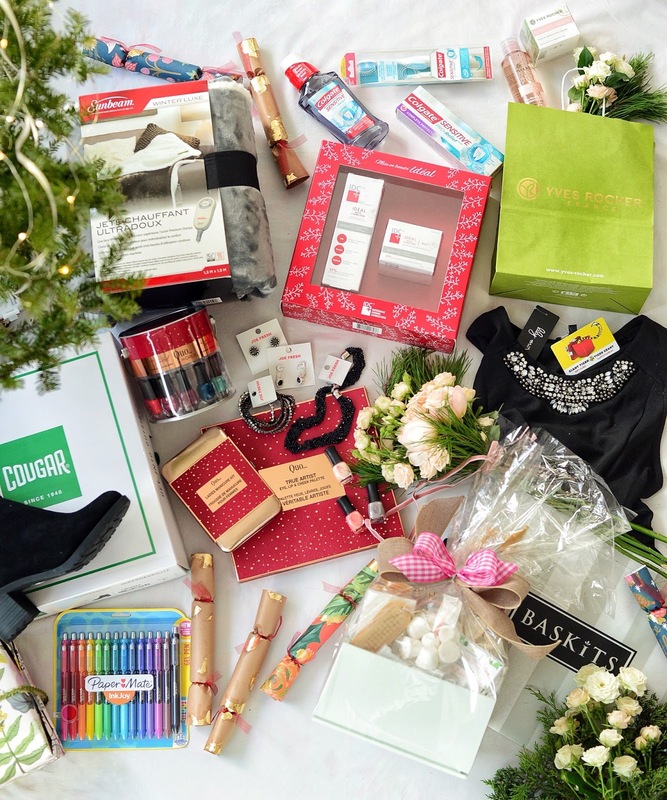 I have teamed up with a few of my blogger besties, and some amazing brands to give you a prize package perfect for the holiday season! Keep reading to find out the prizes in this incredible package. To begin, Yves Rocher has sent over a variety of their favourite products for you to try. 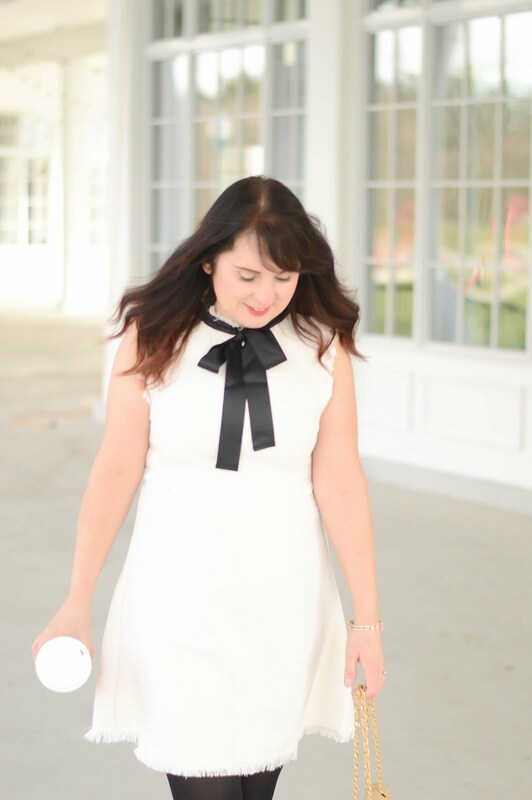 I am always looking for amazing products to get me through the winter months and I find I am constantly switching up my products on a regular basis. These Yves Rocher goodies will definitely fit into your skincare and haircare routine. Micellar water is like an all in one cleanser, it takes makeup off, cleanses and tones your face. I am so excited that this product is part of the prize, and the moisturizer will help your skin get through the winter. The next three products are a special sneak peek for you because they aren't launching until Spring 2017! The Low Shampoo is a sulfate free, delicate cleaning shampoo that is gentle on your hair fibers. The White Botanical Cleansing Mousse, clarifies your skin while eliminating impurities. The cleansing mousse will help you achieve a luminous complexion. Lastly, the Scrub to Mix, is an exfoliant powder that allow you to create the perfect exfoliant for your face, If you'd like your exfoliant to be more gentle, then add extra water, and if you'd like your exfoliant to feel more coarse, than add less water. 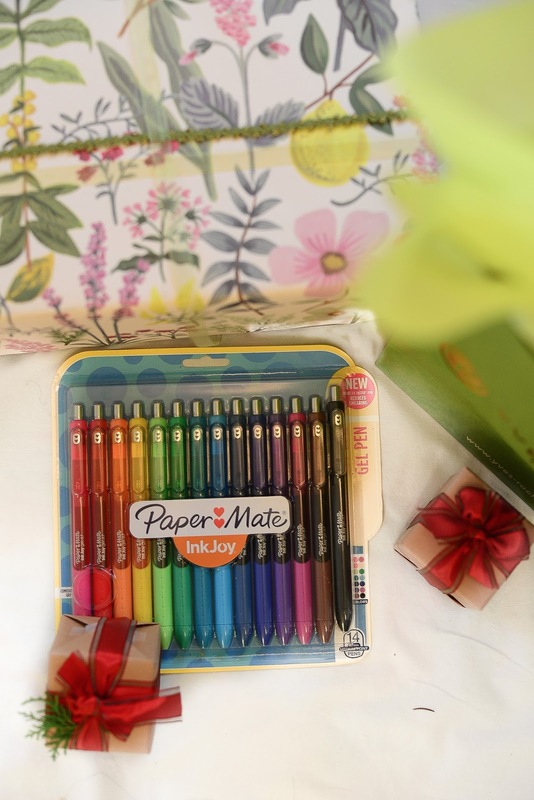 To add to your holiday planning this PaperMate package of Ink Joy pens is sure to help you in your holiday card and gift tag writing. I have been a HUGE PaperMate fan for years, and these Ink Joy pens write so smooth and dry in a flash. I know you'll love having all the colours of rainbow in your collection. As a teacher this is a gift that I would LOVE to get, so if you're buying for a teacher consider these Ink Joy pens! 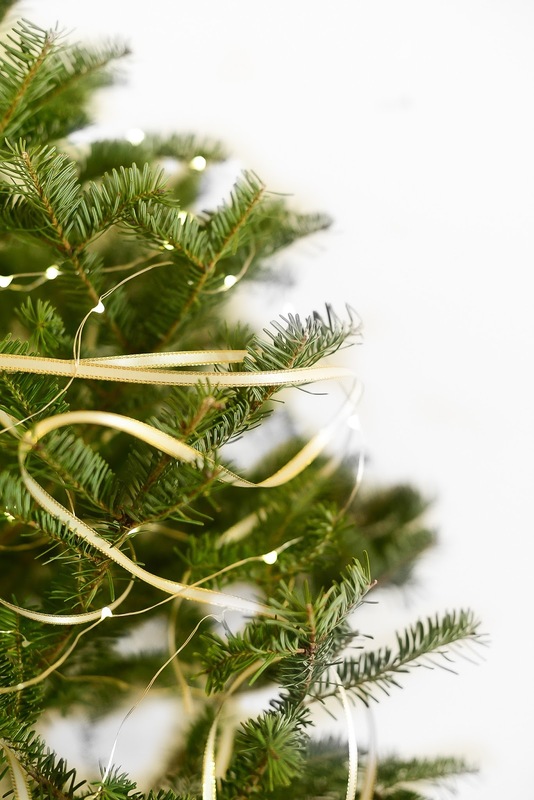 Just in time for stocking stuffers, and to help you get ready for those holiday parties. 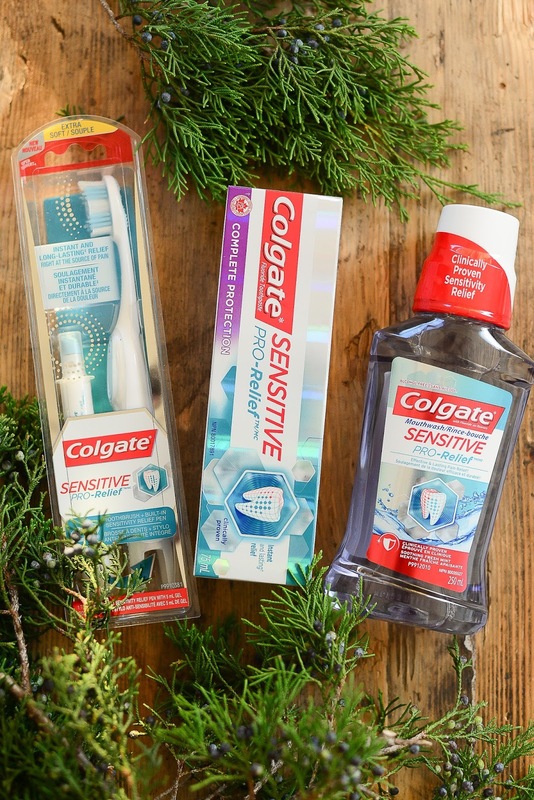 Colgate has included some of their new Sensitive Pro-Relief products. I am a HUGE fan of these and posted about this line back in the summer, here.. These products are amazing for taking the pain away when you bite into something cold or hot. SHHH... don't tell my family but I have included these products in their stockings. 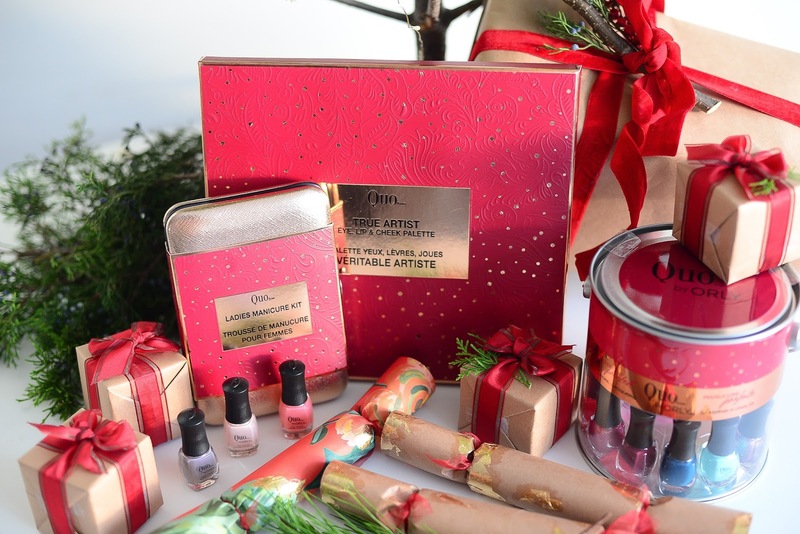 The next few prizes in the package are everything you need to get glam for the holidays! First up, Quo Beauty has included a makeup palette with everything you need from eyeshadows, blush and lips colours, as well as, some amazing nail polish colours. Quo is a makeup line I have really fallen in love with because the quality is high and the price is budget friendly. Joe Fresh Jewellery has amazing pieces at an even better price point and if you didn't know you can find some of the collection at your local Shoppers Drug Mart. Some of my favourite bracelets are from the Joe Fresh line and I will definitely be buying some for stocking stuffers this holiday season. 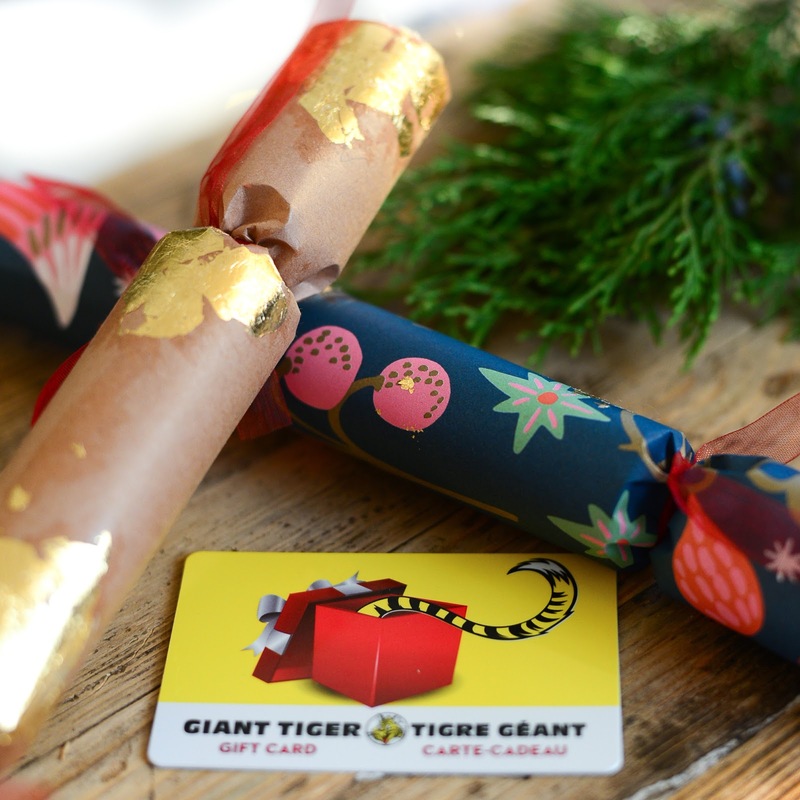 Now to top off your ultra glam look Giant Tiger has included a $100 gift card! This great top is from the Lily Morgan line. If you haven't checked out Giant Tiger lately you have to go in because the new clothing options will have you saying, "I want that!" My son Charlie and I go to our local Giant Tiger weekly and we love looking at the selection of clothes, toys, and household items. To finish your outfit there is nothing better than a stellar pair of boots! Cougar Boots has completely surprised me with their trendy, waterproof, and warm selection of boots. I recently showed a pair here and now you have a chance to win a pair for yourself! I remember as a kid wearing a pair of Cougar Boots each winter season so this is a brand near and dear to my childhood heart. After your night out, you will need to clean and freshen up your skin. 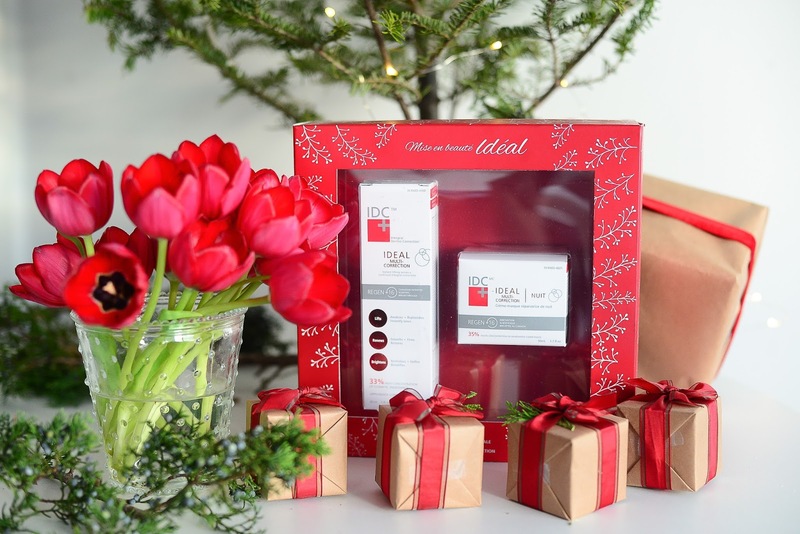 IDC Skincare is giving you an Ideal Skincare kit so make sure your skin doesn't get the winter 'blahs'. IDC Skincare has a Regen 16 technology that helps to keep the skin looking youthful and refreshed. You can find the IDC skincare line at your local Shoppers Drug Mart Beauty Boutique. Wait until you see the Beauty Boutique website, you can shop the site now!! AMAZING! 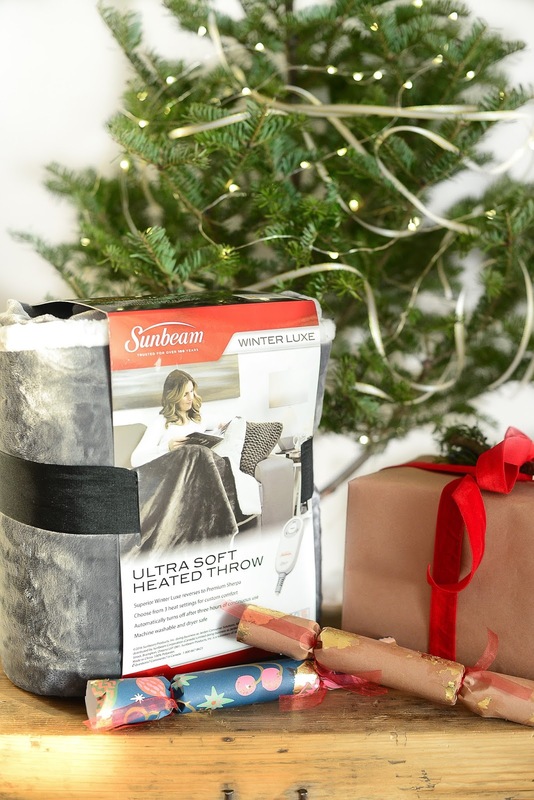 To help you get a great cozy sleep and perfect for the winter season is a Sunbeam heated throw. I must admit I am super jelly of this prize as I know my family would use this on a daily basis. Being cozy with a warm throw definitely makes me feel at ease. Finally, our friends at Baskits have sent over an incredible delectable basket of edible goodies that are sure to make you hungry. 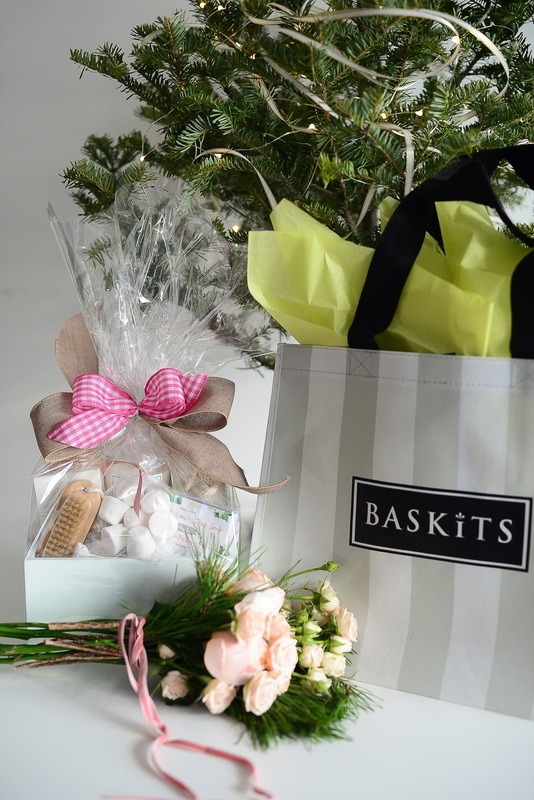 Baskits make the perfect gift for a hostess, the foodie in your life, and for anyone who just loves to try something delicious!